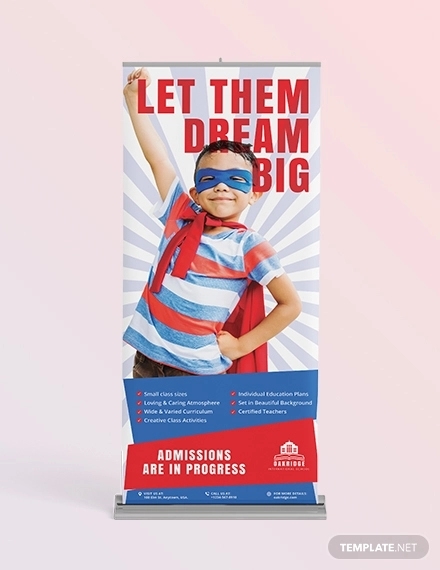 One thing to always keep in mind while working with banners is that you would want your design to be a scalable vector where you don’t have to worry about the print resolution and losing your design quality over resizing. 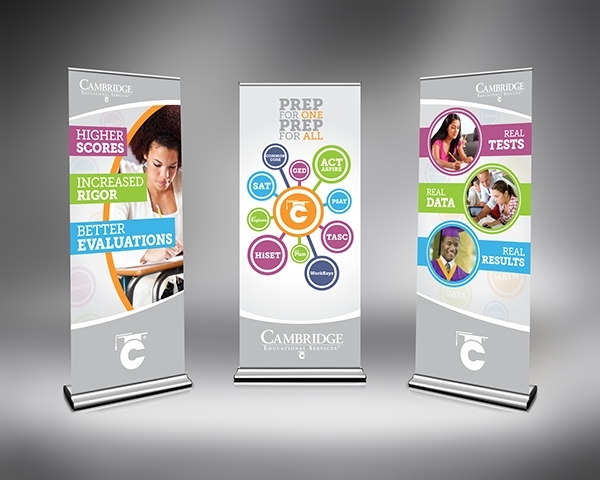 It can be a simple business banner design or it can be an education banner like the ones you are going to see below. 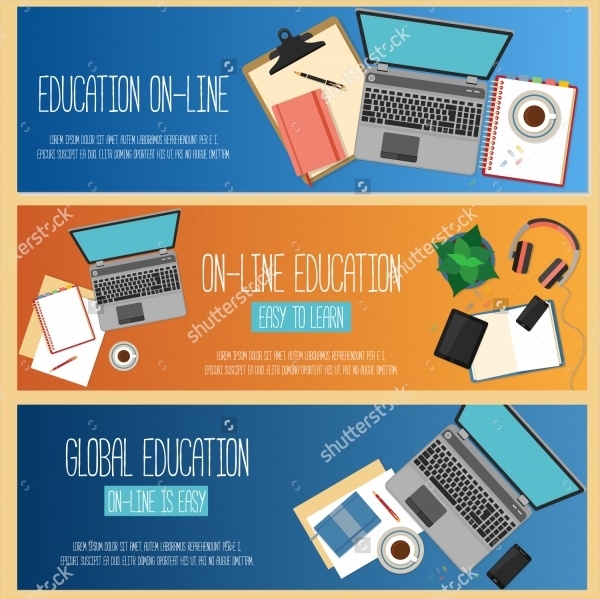 Here is a list of such great education banner designs that are available for you to look at for design inspirations or even use with or without customization. So have a look at the best of designs and be on your way by having one in just a few minutes time. You may also see School Banner Designs. Check out this design by Will Dove called back to school. 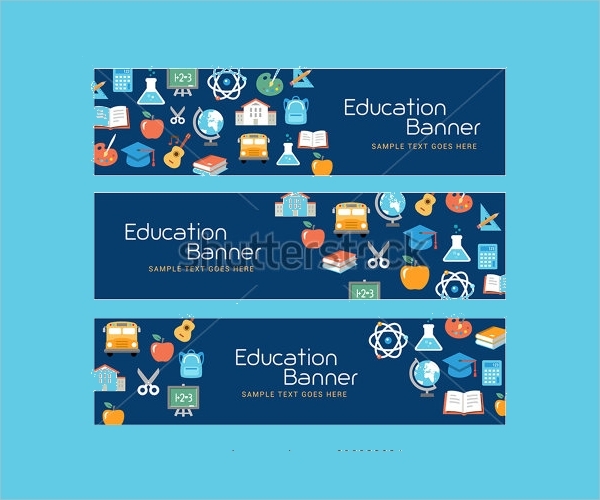 The design is a banner for the education sector where you give equal importance to sports and other activities that might be sectioned under entertainment by some authorities.You may also see Graduation Banners. 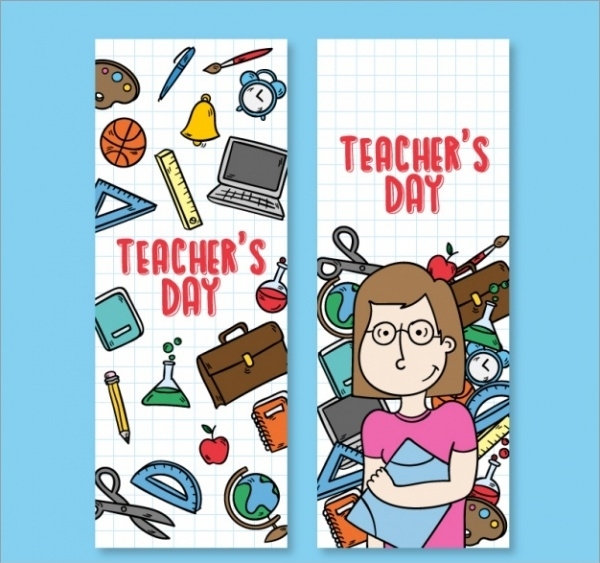 Here is a free vector illustration of a cool illustrated banner with cartoon elements that are specific to the school and university education along with a design for teacher’s day. 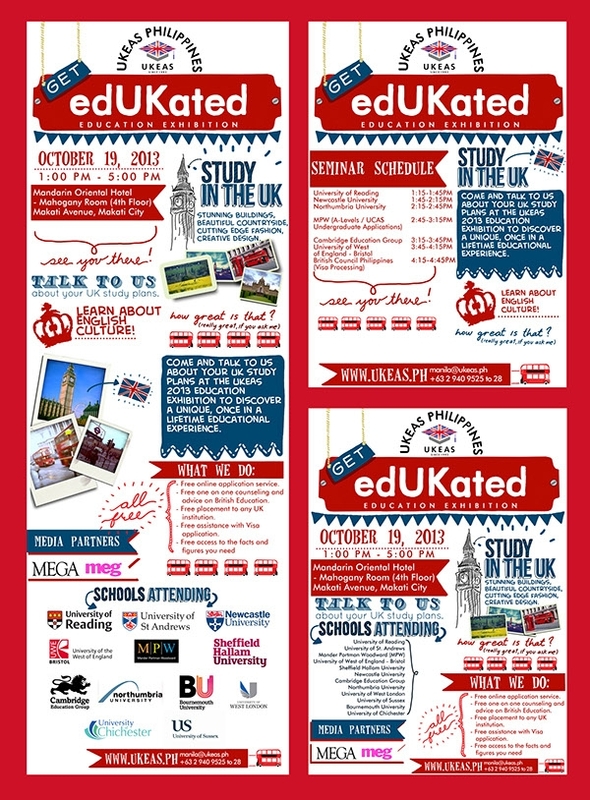 You may also see Event Banner Designs. Sometimes a college will have to advertise itself to be able to reach out to the masses. 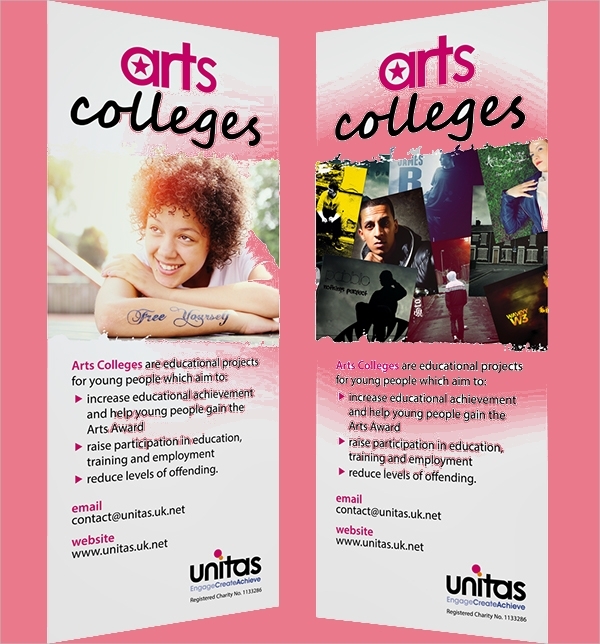 Here is such a design that can be used for advertising a college or even a school. Here is a list of web ad banners that you can download as photoshop files. 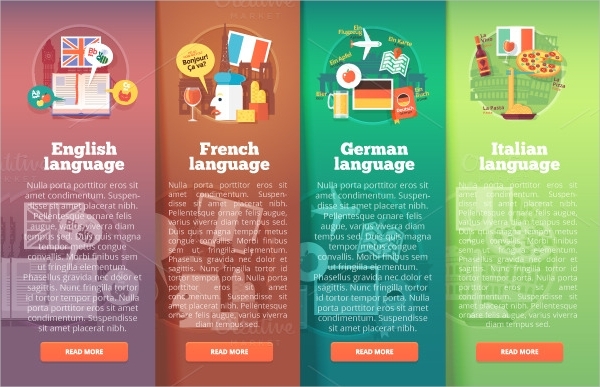 The design contains a total of 18 designs that are set in print ready resolution and completely layered PSD files. Here is a design that you can download as an editable vector in ai or eps file format. 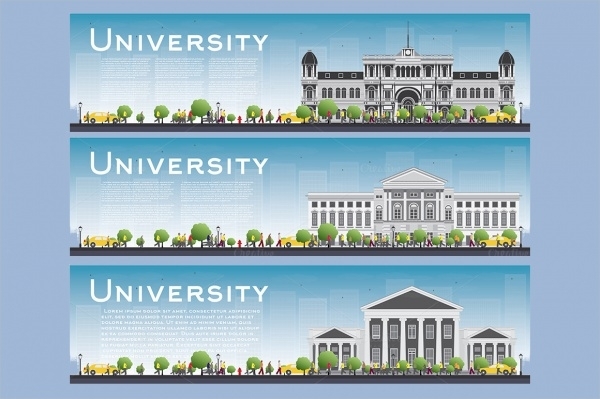 It shows three different illustrations for a university banner that you can download for a modest price of five dollars or you can just look at it and create your design using this as inspiration. 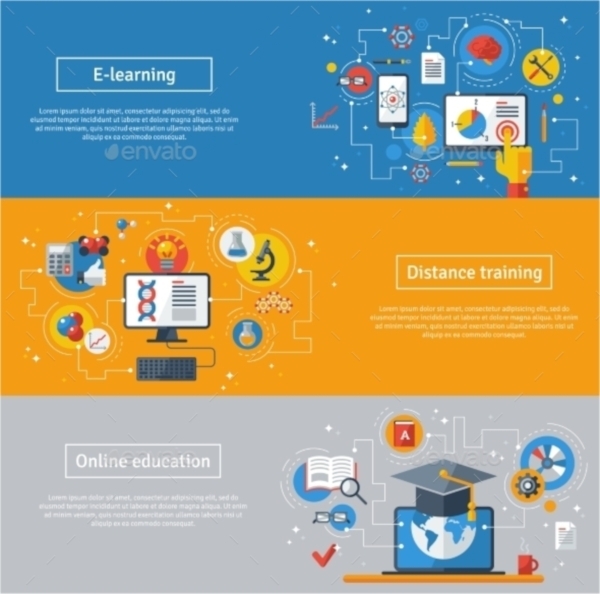 Here is a flat design style for a high-quality education banner that you can download as free stock vector illustration from the given download link. 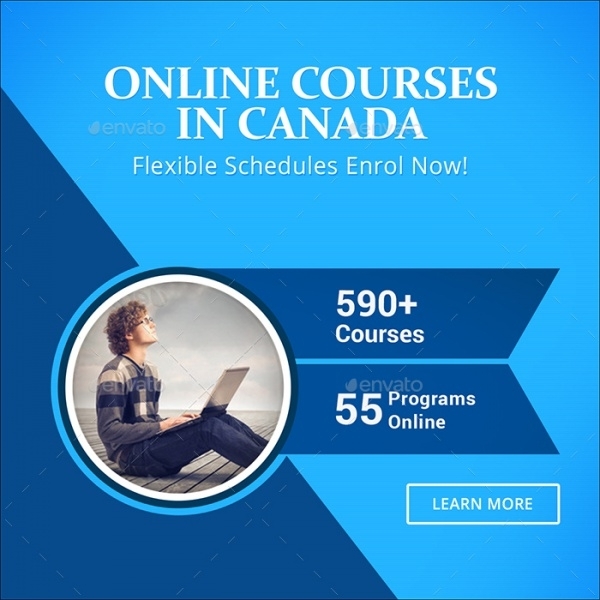 Here is a premium design collection that contains 18 different sizes and layouts of design for web ads for foreign education and other related stuff. This design too is available as an editable vector or you can even download the jpeg file. 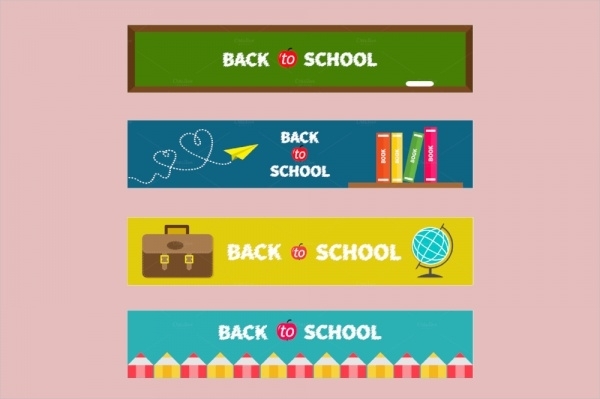 The design is of 4 different banners for back to school. 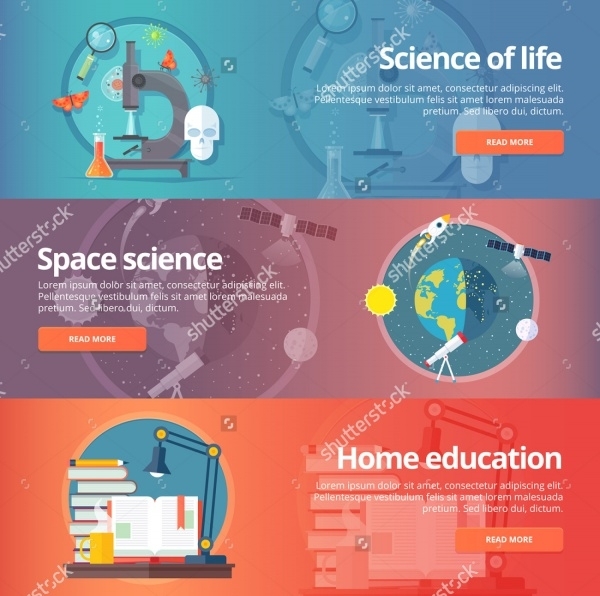 Here is a great banner design that is again available as a free stock vector and can be edited for creating amazing science-related education banner, like for biology and astronomy as shown in the design. 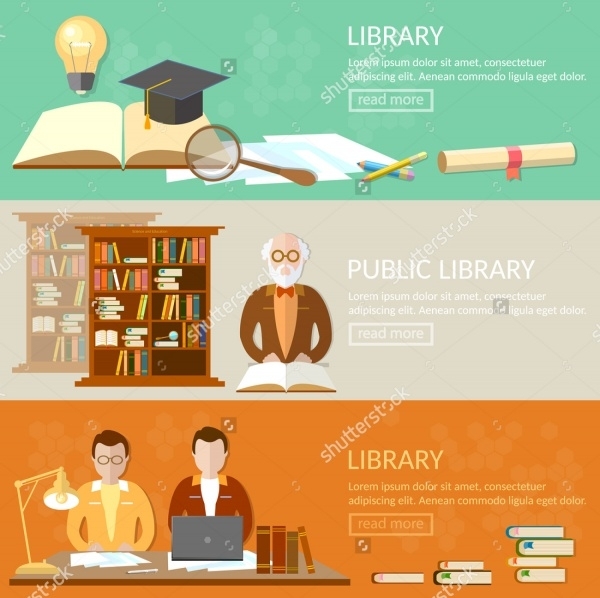 Libraries are one of the most important education places and here is a UI banner for a library website that you can download as a high-quality vector illustration from the given link. Here is a design for a banner that is set in a size of 30 x 70 inches and in a resolution of 100 dpi. This design is an actual banner that you see on hoardings on highways and buildings. The design includes bleeds on all sides and available in print-ready CMYK colors and can be downloaded for a minimal price that goes to the original designer of the banners. 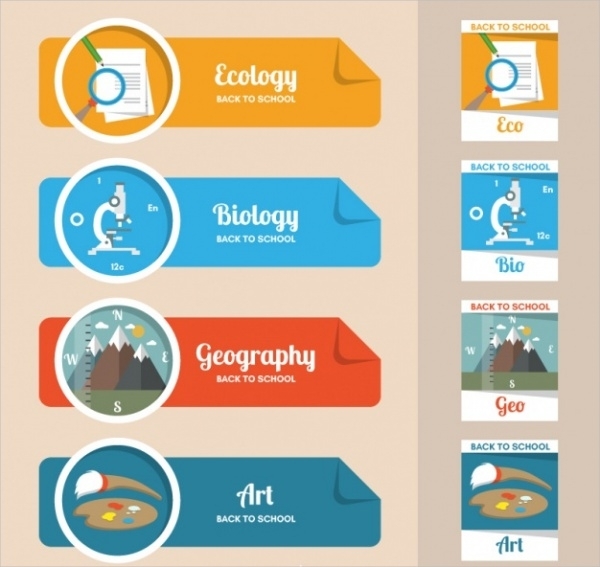 Here is another back to school design for your education banner design idea. You can get the actual banner delivered to you if you go to the link provided below. Otherwise, you can just have a look at it and create a new design for yourself with some design inspiration. This design is by Yvonne Crammer and shows great designs for the education-themed banner. 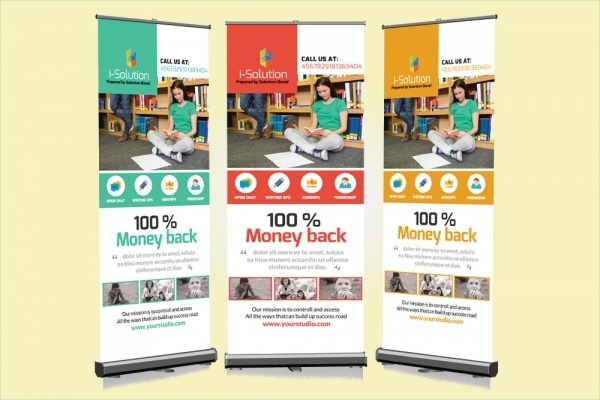 Check out the design for this pull-up banner here at the given link. 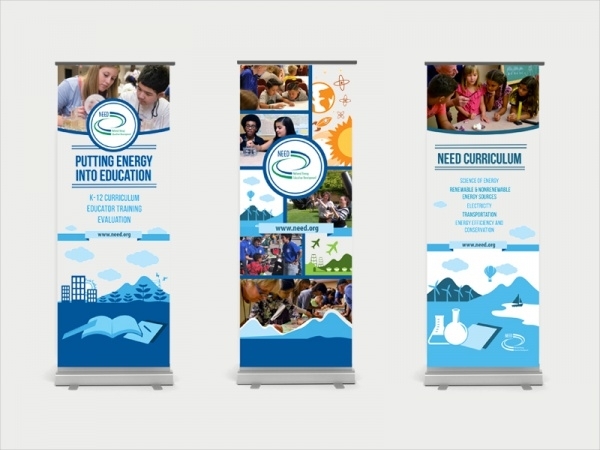 These banner designs can be used even as higher education banners or for primary school purposes. But more or less, they are always an advertising banner design hoping to promote something or the other.